William Carlos Williams (1883-1963) famously combined the two careers of doctor and writer, along the way founding a specifically American version of Modernism. He was born in Rutherford, New Jersey, the son of a New York businessman of British extraction and a Puerto Rican mother with artistic talent. He grew up speaking Spanish and French as well as English, from the start in tune with America's multiracial and immigrant traditions. He studied medicine at the University of Pennsylvania where he made important friendships with Ezra Pound and Hilda Doolittle (H.D.). He graduated in 1906 and, after further medical study in pediatrics, set up his own practice in Rutherford in 1910 treating his patients diligently for the next forty one years. Though he made several important trips to Europe, Williams' life was essentially rooted in what he termed "the local". In 1912 he married Florence Herman and they moved into a house in Rutherford which was home to them and their two sons for many years. Williams' early poems, begun in college, are Keatsian and derivative but he swiftly abandoned this style and, under the influence of Pound, embraced Imagism and its emphasis on clear visual detail and the exact word. Local he might have been, but Williams was never provincial: his friendship with Pound kept him in touch with movements in the international avant garde and he also became part of a radical group of artists and writers in New York known as 'The Others' that included Marcel Duchamp, Man Ray, Wallace Stevens and Marianne Moore. 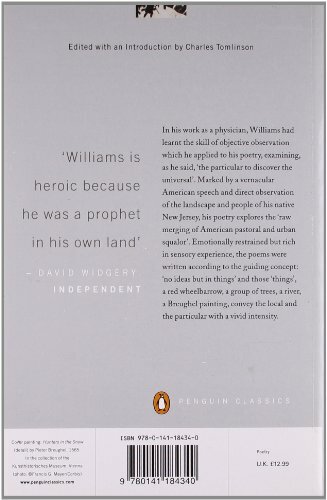 What set Williams apart from other members of the modernist movement was his determination to create poetry out of a specifically American idiom, informed by the rhythms of everyday speech. This urge to forge a democratic aesthetic was at odds with the reliance of poets like Pound and T. S. Eliot on classical and European traditions. Whilst Williams' output was huge - including short stories, novels, plays and essays - this ambition remained a driving force. It was informed too by a political engagement - he described himself as a socialist - shaped by his daily contact with the largely working class patients he saw in his surgery. A significant breakthrough in Williams' methods came with the montage of prose and poetry, grounded in colloquialisms, of Spring and All (1923). His quest for a truly native form of poetry made him a restless experimenter, particularly as regards metre and lineation. 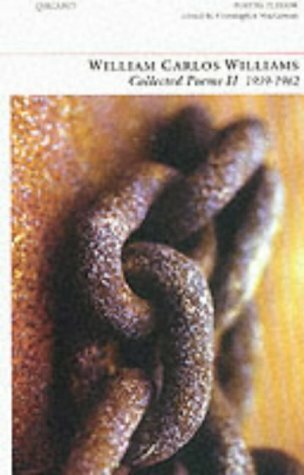 Abandoning traditional forms, Williams explored more flexible rhythms, including a radical use of enjambment, (the continuation from one line to another of a single unit of sense), which forces the reader to encounter, and therefore re-evaluate, such simple objects as wheelbarrows and plums. From the 1950s he developed a three-stepped or 'triadic' line and his concept of the "variable foot" which gives his later work a strong visual dimension, almost like that of an abstract painting. Although Williams was admired in literary circles in the 1920s and 1930s he had to wait until 1937 for a reliable publisher when the fledgling New Directions made him one of their key authors. However, from then on his example became increasingly influential: writers as diverse as Robert Lowell and Allen Ginsberg turned to him for poetic inspiration and he paved the way for many of the movements of the 1950s including the Black Mountain Poets, the New York, School, the Beats and the San Francisco Renaissance. In the 1940s he embarked on his five-volume epic of small-town life, Paterson, the culmination of his belief in the essentially poetic nature of dailiness. Critical appreciation began to catch up with his achievements when the third volume of Paterson (1949) won the National Book Award. However, the decade also brought difficulties: he suffered the first of many strokes in 1951 which forced him to give up medicine and then his position as consultant to the Library of Congress was revoked during the McCarthy anti-communist hysteria, an event that triggered a spell in hospital for depression. He continued to suffer a series of debilitating strokes and died in 1963. His last published collection, Pictures from Breughel and Other Poems, was posthumously awarded the Pulitzer Prize. 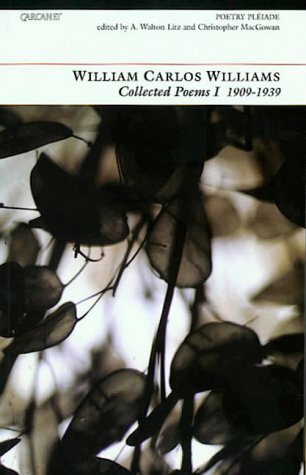 His Archive poems date from his major poetic flowering from the mid 1920s-mid 1940s, apart from 'Postlude' which is from 1913 and forms an interesting contrast to the poems of Williams' mature style. It's a piece that looks forward and backwards in its combination of the kind of poeticized diction that Williams was soon to abandon with a modern sensibility in its ironic take on a love affair past its sell-by date. It's interesting to compare it with 'Queen Anne's Lace', a later poem which is also highly romantic, drawing on the traditional comparison between women and flowers, but which is entirely different in manner and effect: instead of the classical allusiveness of 'Postlude', the poem's central metaphor is a commonplace field. The poem makes this shift in emphasis explicit: the woman is not like the decorous remoteness of a white anemone, but rather has the vigour of "a field/ of the wild carrot/ taking the field by force". The recording also features one of the defining poems of the 20th century: the brevity of 'The Red Wheelbarrow' - just sixteen words in all - belies its iconic fame. However, it is the archetypal example of Williams' oft-quoted maxim "no ideas but in things", the extreme simplicity of the language and the precise placing of each visual element an argument for clear sight in poetry, stripped of conventional symbolism. Elsewhere Williams' social conscience is to the fore, in the act of imaginative empathy of 'The Widow's Lament in Springtime' and the more overtly political vision of 'The Yachts' and 'To Elsie'. The former is radical in a different way from the experimental minimalism of 'The Red Wheelbarrow' as it presents an image of capitalist oppression: Williams captures the exhilaration of the yachts' triumphant progress, but he also sees the ruthlessness of privilege which they represent. 'To Elsie', its twenty two stanzas poured out in a single sentence, constructs a powerful critique of a modern world in which the lower classes are degraded by lust and exploited by the better off. The final poem, 'The Dance', celebrates movement and Williams' great love of art. Here he does use a traditional metre, the dactyl (one stressed syllable followed by two unstressed) which gives the poem a powerful forward momentum. The whirling energy of the peasants is also intensified through the enjambment of each line which doesn't allow a pause for breath. It feels especially important to be able to listen to this great celebrant of American speech, his light clear voice relishing the different kinds of music created by each poem. His recording was made on 5 May 1945 at the Recording Laboratory, Library of Congress, Washington, D.C. and is used by kind permission of the Libarary of Congress. A William Carlos Williams poem from the Great Depression reveals the egalitarian nature of pleasure-and the formal innovation of a modernist master. Richard Swigg samples from the recordings of Williams, recently added to PennSound’s audio library. William Carlos Williams recording on Intelligence Squared. William Carlos Williams recording, Woodberry Poetry Room, Harvard.